When you purchase your American motorhome, be it brand new or second hand, LAS are here to help, especially if you are new to motorhoming. If you decide to import the vehicle yourself you will need to convert the road lights, as most motorhomes do not have white front side lights, most have red brake lights and none have rear fog lamps. These changes are essential to the road using motorhome as if they are not carried out then the vehicle will not be declared road legal. American RVs and appliances work on 110V, 60Hz systems, so some form of conversion to 230V, 50Hz will be necessary to run your air conditioning unit, microwave and fridge while in the UK and Europe on an electric hook up, or you could use American appliances, which are noticeably slower when it comes to kettles and toasters. 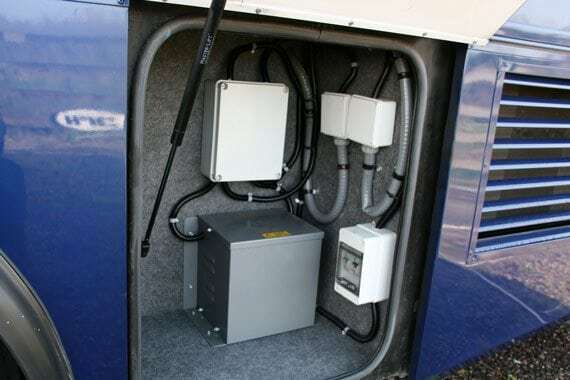 LAS Motorhomes will leave the 110V system as it was when manufactured, and add a 230V circuit, which can be used in the UK. With the addition of a new circuit with its own dedicated wiring, LAS can put sockets in places most useful to you, instead of the places the manufacturers deemed useful. 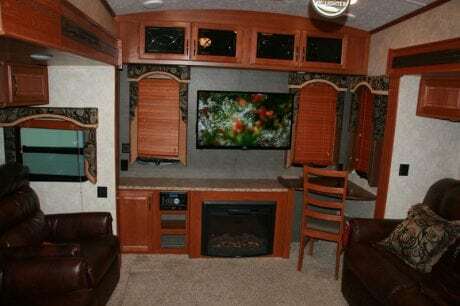 LAS Motorhomes can add a separate 230V circuit to the interior of your RV, so you can use your English portable appliances, and then adapt the generator to use both 110V and 230V systems as necessary. 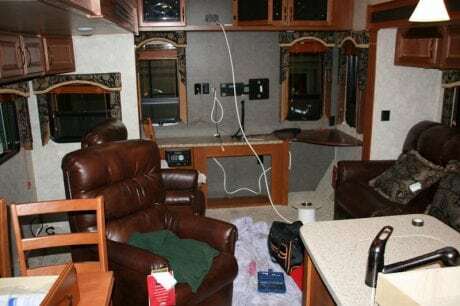 In addition, to ensure your complete safety while the RV is in motion, we only use flexible cabling for ou3 circuits, not rigid. Although most American TVs will work on a 110V transformer they might not accept the European 50Hz. Some of the newer generation flat screens can be adapted, but you still might not be able to get a picture, as UK and European terrestrial broadcast standard is PAL, not NTSC. LAS can advise you on the best method of ensuring you receive a good picture while you travel. One additional note, those appliances with an internal clocks, such as videos, DVD players and microwaves will run at different speeds on a 50Hz circuit. So if you try to tape your favourite programme without success or keep burning your dinner, that’s probably the cause! The Electrical Installation 17th Edition is a regulation to which all domestic and industrial wiring must conform. An American motorhome as such will never quite conform to these regulations. At LAS Motorhomes we have noticed that other companies have claimed to be carrying out conversions which meet these strict standards, which is in fact completely untrue. 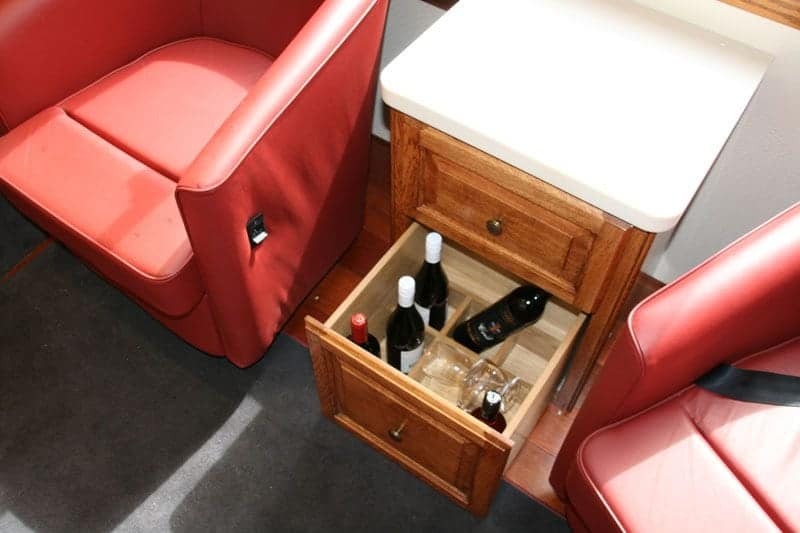 They use a rigid cable, the original motorhome cabling, which does not meet the 17th Edition requirements. 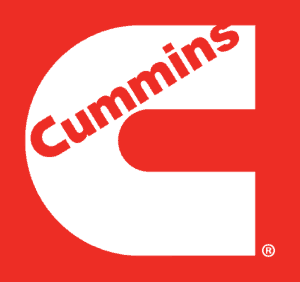 LAS are aware that they do not carry out their conversions to the standards mentioned in the 17th Edition, but our conversions are of the highest quality possible, and our in house electrician holds a HNC in Electrical Engineering.